Who doesn't like a little costume bling in their closet? They're fun, trendy and affordable! 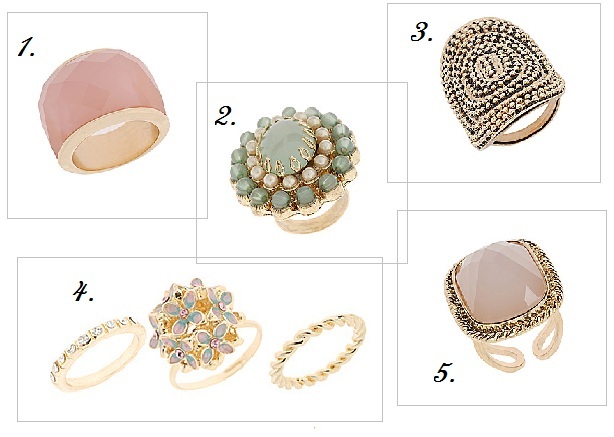 Just take a look at these pretty cocktail rings from Aldo. They're perfect to spruce up your spring accessories.....and best part? They're all $12 and under!! I LOVE those rings. I love 1 and 2 best.